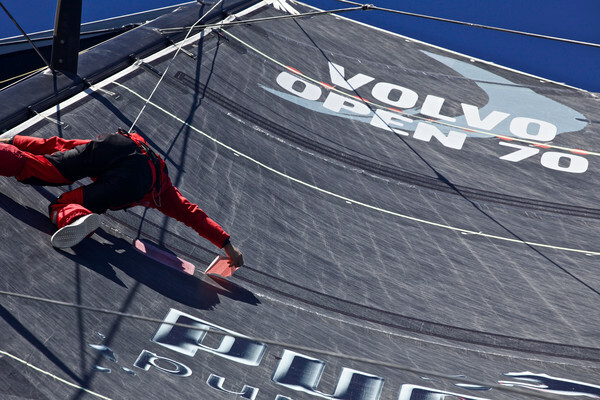 It’s all change again tonight as the nip and tuck battle between first and second place on Leg 5 of the Volvo Ocean Race from Auckland to Itajaí plays out. Telefónica (Iker Martínez/ESP) in third continues to make steady gains, while CAMPER with Emirates Team New Zealand (Chris Nicholson/AUS) and Abu Dhabi Ocean Racing (Ian Walker/GBR) close on the coast of Chile. 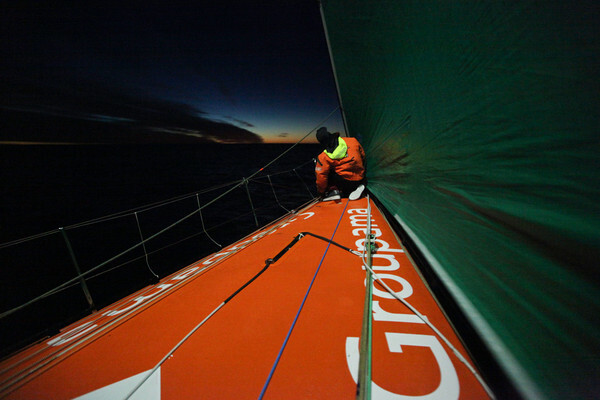 At 1300, GMT PUMA Ocean Racing powered by BERG (Ken Read/USA) had the whip hand, leading Groupama sailing team (Franck Cammas/FRA) by 6.5 nautical miles. Three hours later, the lead had whittled away to 1.5 nm as the French team applied the pressure and PUMA led by a short head. At 1900 GMT tonight Groupama stuck their necks out to lead PUMA by just 0.4 nm. The leading pair are 322 nm south east of Mar Del Plata, an Argentine city 400 km south of Buenos Aires, where the race had a leg finish in 1981-82 Whitbread, and continuing to sail downwind in an easing south-southwesterly breeze of 10 knots. 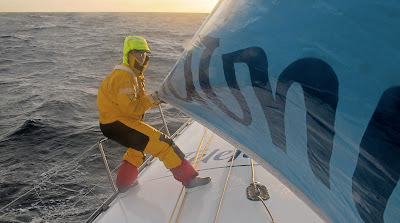 Meanwhile, with nothing to lose and everything to gain, Telefónica are sailing closer to the shore and are 158 nm offshore and 185 nm south-east of Puerto Madryn in Argentine Patagonia. 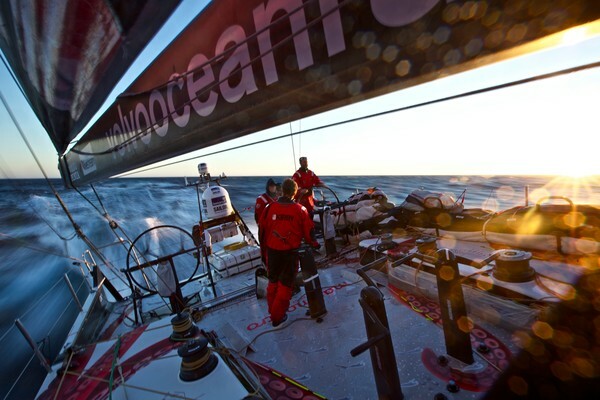 They are still making an average speed of 15.8 knots and have taken another 23 nm out of lead by sailing on a faster angle, two knots faster than those sailing further up the track. However, an area of high pressure is forming ahead, which may hinder progress later tonight. The top three boats in this leg are all from the board of Argentinean designer Juan Kouyoumdjian and are very similar in speed. 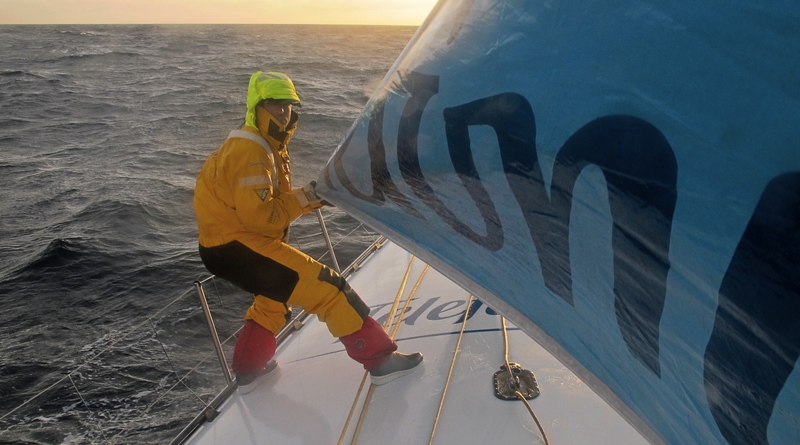 In order to make further inroads into their deficit of 220.7 nm, Telefónica will be reliant on sailing in different weather systems and being able to look ahead to avoid any snares the leaders may fall into. The last 300 nm into Itajaí are notoriously fickle could easily produce a surprise leg winner should the race start again in the dying hours of the leg.